Right now, many product teams are reflecting on the previous year and making big plans for what they want to accomplish in 2019. It’s an exciting time because it’s an opportunity to set the tone for the next 12 months. Has your team taken time to reflect and set goals? If not, I get it. All the distractions in the day-to-day grind make it easy to push off. If you need a little nudge, maybe I can help. I scoured the web looking for current, useful product management challenges—and possible solutions. After reading this, my hope is you can walk away with actionable insights for making 2019 the best year for your product yet! 1. How Do I Know We’re Building the Right Thing? As a PM you know firsthand building product isn’t easy, but building is just the beginning. It’s even harder to build the right product—the kind of product your users actually need and want to use. So how do you uncover areas to create new value? There’s no shortage of tools for discovery: customer observations, customer discovery interviews, and many design thinking empathy activities all come to mind. One framework we use at FullStory is Clayton Christensen’s Jobs-To-Be-Done Framework (JTBD). If you’re unfamiliar what JTBD is, here’s a short explainer: Jobs-to-Be-Done helps teams reveal the high-level reasons behind customer decisions by reframing how we talk about products away from features and toward outcomes. JTBD asks: What job is the customer trying to do with your product? This "outcome-driven" approach ensures teams are building products that solve real customer problems. And sometimes, your customers will be literally rage clicking the job they want to do. In other words, whether customer research matters or not, it’s not happening very much. In addition, ProfitWell’s research found a clear misalignment between product team and customer expectations. Above is the Value Matrix that ProfitWell used to plot responses from 2,500 product leaders. The responses consisted of evaluating the last features each product team created. Those responses were mapped based on the willingness to pay and how much the team cared about building the feature. Each result could be in one of the four quadrants: add-ons, differentiable features, core features, and trash land (that name makes me laugh). You might guess product leaders would believe they were building features that their customers cared deeply about (right side of the X-axis) and for which they had a high willingness to pay (high Y-axis). As you can see above based on the location of most of the responses, most product leaders are confident they are building valuable features their customers want. So when ProfitWell tabulated customer responses, were product leaders right? What did customers have to say? It's the complete opposite—the results from customers are practically inverted. So despite the confidence product leaders had about what they were building, their customers didn’t think the same. While customers saw a wide range in value, their willingness to pay was low. Ouch! Based on this research in total, Profitwell hypothesizes that product leaders are not spending enough time talking with customers. As a result, they build products their customers don’t want. We’re in a world where we’ve literally been given the answer to success: understanding our customer ... Not always agreeing, but at least understanding. For the most part we’ve turned our noses up at the notion of actually talking to the people who are ultimately paying us. That’s a scary thought. Similar results were found by Alpha in their 2019 Product Management Insights Report. According to Alpha’s research, 86% of product managers say they don’t spend enough time talking to users, even though they agree direct customer feedback is the best source for new ideas. Next time your product team is discussing product improvements, ask, “Are we building features that our customers will value as much as we do?” Get out there and talk with your customers. You might just be surprised by what you hear. 3. Are We Creating a Thriving Product Culture? It goes without saying, but creating a place where your team wants to come to work five days out of the week is essential to product success. For that, you need a thriving culture on your product team. Consider the following ideas as ways to improve your product culture. In More PM Problem Areas, Marty Cagan points out that many product teams have a culture of playing defense over offense. He warns that playing defense is dangerous because it leads to a team that’s risk averse—teams that are scared to uphold new ideas and embrace failure. Instead, encourage new ideas and learn from mistakes. Need help deciding on what product ideas to focus on? Maybe the Jobs-to-Be-Done Framework can help! You can tell from the replies to this tweet that not everyone agrees. That's fine. Not all teams work the same. What’s important is that Ryan is willing to question ideas when problems—as evidenced by low morale and frustration—arise. Sometimes it makes sense to challenge prevailing dogma, and instead of forcing a system to work within your team, take time to discover how your team wants to work. Get Out There And Build Great Product! Is your team focused on building the right thing? Is your team talking to customers? Are you creating a thriving product team culture? What other questions are you asking? What challenge is your team looking to overcome in 2019? Let me know in the comments below or on twitter @fullstory—I’m looking forward to seeing what you have to say! 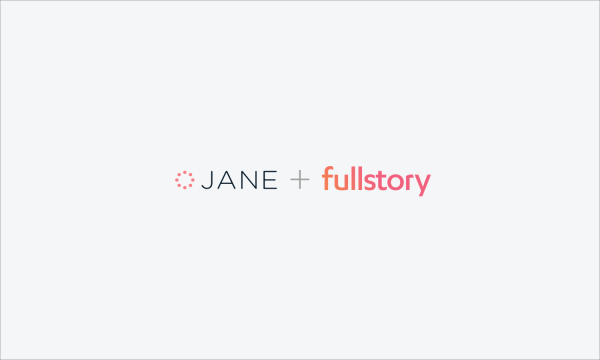 Content Marketing at FullStory and part-time YouTuber.